Come join the SDCPS for our 3rd Annual Sale & Show.....it's FREE! Located at Balboa Park Casa Del Prado Room 101. 10am-4pm. Kids table activities, People's Choice plant judging, LOTS of plants for show and sale! Predatory Plants and Xtreem Plants return as guest vendors! 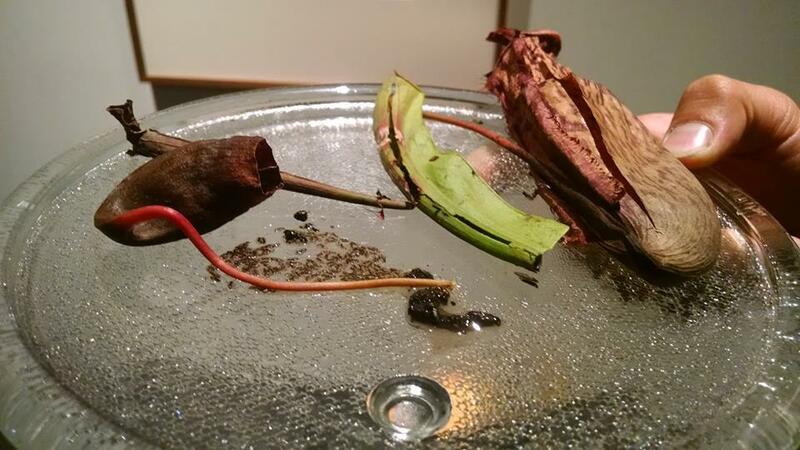 Come see and learn about plants that eat bugs! Visit the Balboa Park Botanical Building bog too! If you are a SDCPS member interested in showing or selling plants or volunteering, please e-mail Allyson at ladynepenthes@yahoo.com. Please see the "Contacts" page for more information and how to find the SDCPS on FB and IG. Just getting together! Meet at ChuckAlek Biergarten (3139 University Ave, Suite B, San Diego, CA 92104) anytime between 4:30-7:30pm. Family friendly environment and food available by Tostadas North Park. New members welcome! Friday August 18th at 6pm: Little Shop of Horrors at the San Diego Natural History Museum! This summer, theNAT and Film Geeks San Diego have partnered, once again, to provide an exciting film series during Balboa Park After Dark that puts the “science” back in “science fiction.” They'll be providing pop-up style biological facts, pop culture trivia, and running commentary from our resident science and pop culture expert Dr. Michael Wall. The original 1960 Roger Corman film, featuring a young Jack Nicholson, about a carnivorous plant that feeds on human blood and gets bigger than its britches, tended to by the world’s most murderous horticulturist, Seymour Krelboyne. If you’ve ever thought that your plants were watching you with hungry eyes, this film is for you. Only science can save you from this unimaginable horrors. Friday August 18th @ 6pm at the San Diego Natural History Museum. This event is included with general admission. Tickets are available at the Admissions Desk. 2017 July Show & Sale! Get ready for our second annual Sale & Show! If you are interested in participating as a shower and/or seller, please review both the Show Rules & Guidelines and Sales Table documents. January 21st 10am-4pm. Winter is the perfect time to report & divide plants for the coming season. This is a great opportunity to learn new soil recipes, propagation techniques and maybe take home a couple of extra plants. If you've never done it or you're a pro, this is a fun activity to attend and a chance to socialize with more SDCPS members. Bring your own supplies. RSVP via the SDCPS FB group page. Join Curator of Entomology Dr. Michael Wall and Audience Engagement Manager Robert Rutherford for a screening of the 1960s B-movie "Day of the Triffids" in their giant screen theater. Can earth survive the slow-moving onslaught of flesh-eating plants? Their resident pop-culture fanatics will help you find the answer with science! Free with museum admission or $16. There will also be simultaneous science & pop culture trivia appearing on an adjacent screen with a little “science behind the fiction” Q&A afterward. Friday September 2 @ 6:00pm at the San Diego Natural History Museum! August Social at The Horticult! August 27th 10am-Noon: Come hang out with other CP like-minded folks! Ryan Benoit will be hosting this event at his extraordinary digs where he and his wife Chantal Aida Gordon "eat, drink and loosen rootballs, where flora, fauna and culture intersect in unexpected ways." Please message Allyson Long for address information if interested in attending. The SDCPS collaborated with the San Diego Parks Department to completely restore the Balboa Park Botanical Building's carnivorous plant bog. All plants were donated from SDCPS & LACPS personal collections, Ed Read from the CSUF Greenhouse, The San Diego Zoo Horticulture Department, and Booman Floral. We're excited to share this new display with the public! The SDCPS has formed partnerships with community youth groups to educate and inspire school children to learn and appreciate nature through carnivorous plants! April 24th 10am-1pm: Come hang out with other CP like-minded folks! We'll be walking over to Casa Del Prado to check out some other SDBGF plant society sales/shows too. For participation in the SDCPS show & sale please note the following guidelines and fill out the form below. We have the room at our disposal from 7am – 6pm and the show will run from 8am – 4pm. Everyone is welcome to sell, show, or just help out. 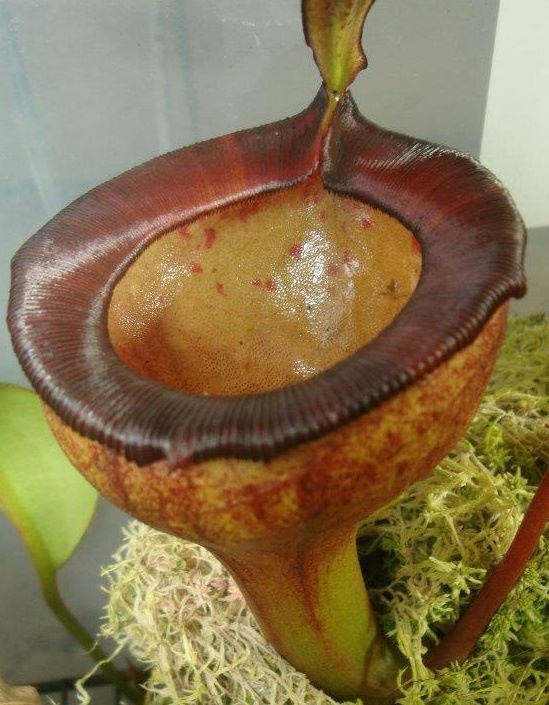 If you only have a few carnivorous plants to show, please do! This show is for novices and experts alike. 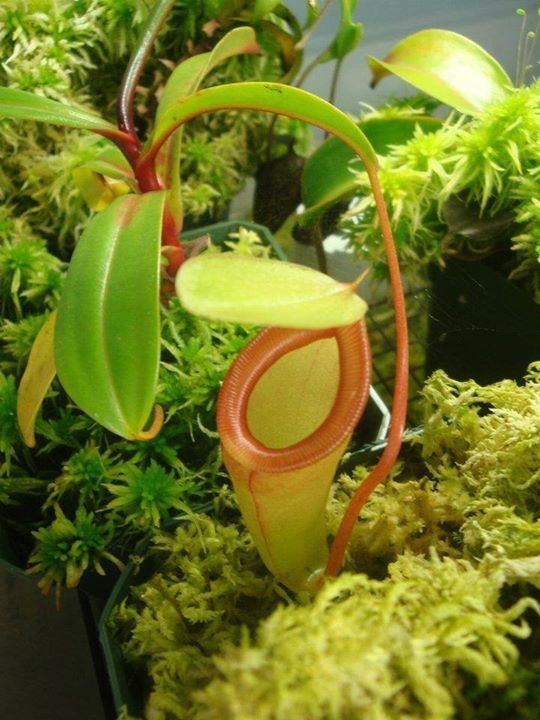 The sale/show of non-carnivorous plants, goods and educational materials is also welcomed! Please fill out the participation form below; if you'd like to help out only, note that - we'll definitely find something for you to do! 2. You must supply your own table cover and skirt. 3. Anyone selling plants MUST be able to properly explain their care to a novice. Not everyone buying plants has experience with the plants they are interested in buying. 4. 20% of all sales will go back to the group, minimum of $10. 5. All plants must be correctly labeled, no “NO ID”. Sarracenia alata hybrid or Nepenthes ventricosa hybrid, Drosera sp, unknown Pinguicula is more than acceptable. Please print labels where possible. 6. All cuttings must be rooted and all divisions established; No selling of new cuttings or recently divided plants. 7. Each individual seller is responsible for collecting their own money. 8. Allyson will be selling T-Shirts and stickers and running a potting station; as a seller or show participant, please direct people to her. 9. If creating a display a schematic drawing of the display with every plant given a number will be required. A list of those numbers and the associated plant names shall be placed next to the display. 10. All media and water must be cleaned up by the table occupant. 11. It is encouraged to make up your own fliers, care sheets, contact / resource sheets, etc.., but not mandatory. The potting station will have general care/resource sheets available if needed. March 20th 11am-2pm: Come hang out with other CP like-minded folks! Congrats to the IUCN for reaching their goal! As a group we made a small donation to help the cause. 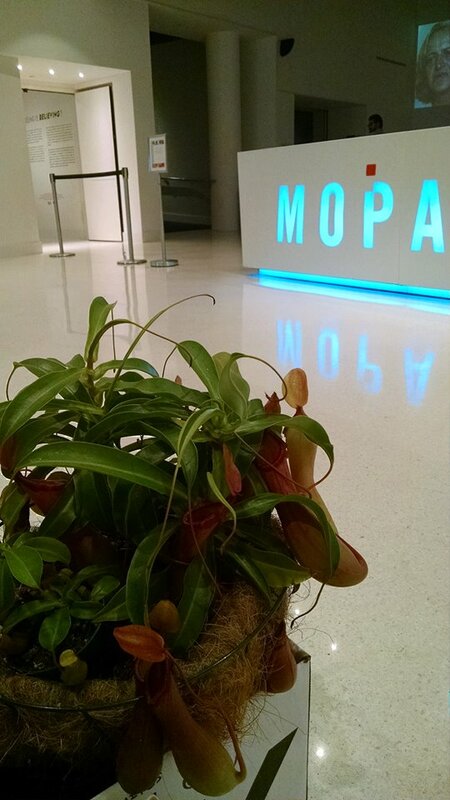 We hope to contribute to more carnivorous plant causes during 2016! The BACPS has asked the SDCPS to join them in the 2015 ICPS Seedbank Seed-Drive. Natch Greyes has an excellent post with all the details! Be sure to visit the ICPS webpage for donating seed as well. What better gift than the gift of more plants! "The ICPS Seed Bank survives on seeds donated by members. By donating seed to the seed bank, you benefit by obtaining credit for seed you want from the seed bank. Donating seed benefits other members of the ICPS as growing CPs from seed allows them to learn about and enjoy species they may not otherwise be able to obtain." New/Novice: I have no or little CP knowledge and/or growing experience. Hobbyist: I have a small collection of plants with limited but successful growing experience. Enthusiast: I devote a lot of time to a larger collection with extensive growing experience. Pro: I earn money from growing/selling/trading plants and/or have a very large collection. I am unfamiliar with CP species and terminology. I am familiar with the broad groups of CPs (e.g. Nepenthes, Sundews). I am familiar with the specific scientific names and species of CPs (e.g. D. muscipula).